Freshness, quality and a commitment to healthy living means more than checking the sell-by date on the shelves. Ask Valley Natural Foods (VNF). 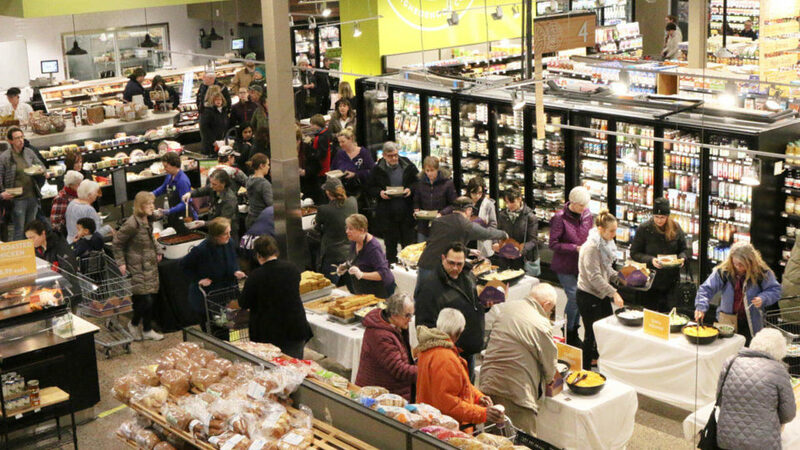 On the heels of a major remodeling and expansion, the member-owned co-op in Burnsville, MN is still keeping it fresh, as it has since 1977. From humble beginnings in a small store to withstanding challenges including economic downturns and a devastating fire in 1989, the co-op has stood the tests of time, growth and changing demands. 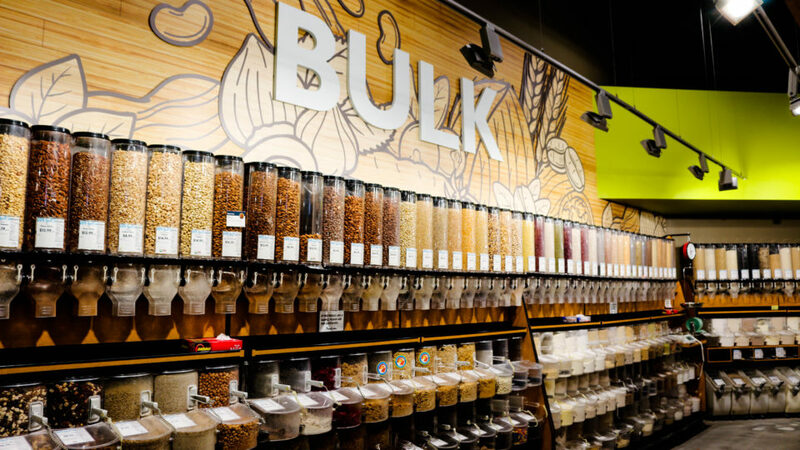 KA recently completed the grocery’s latest expansion and full-store remodel, which ushers in a new chapter in Valley Natural Foods’ 40 year history. The expanded store enables the co-op to provide a more contemporary shopping experience for owners and customers. VNF’s Marketing Brand Manager Tom Vogel shares insight about the project’s highlights and what their new space means for them and the community. As the goal with any retail project, KA and our clients aim to provide customers with a more convenient and enjoyable shopping experience. After acquiring a nearby structure, VNF decided it was time to expand and modernize in this competitive market. Tom, talk a little bit about the project highlights. TOM VOGEL: Increasing the store’s footprint of by nearly 8,600 s.f. allowed for wider shopping aisles, new production, wellness and office space, additional parking and created opportunities for more retail. 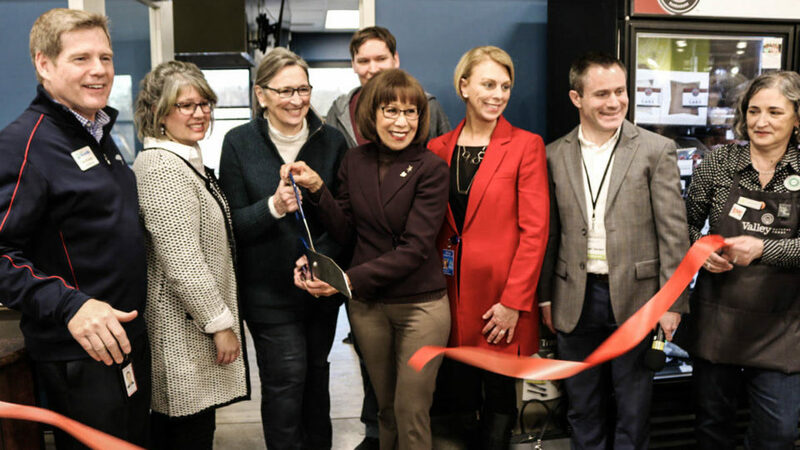 The new building also houses some of the latest technology in energy-efficient HVAC and refrigeration control systems, producing an overall greener and smaller ecological footprint. 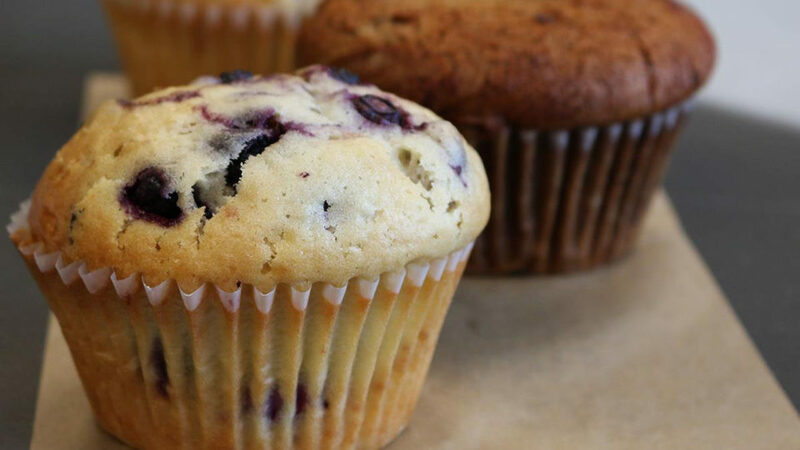 We are now able to serve a larger variety of hot and ready-to-eat house-made meals, offer additional retail space to promote local vendors including our own Valley’s Own Bakehouse®. Our meat and seafood department now feature larger cases with an additional 12 feet of shelf space. VNF has been a hub of freshness and education opportunities in the community since forming over 40 years ago. Their core values and principals are seen throughout the store’s community touch points. From education to sponsoring local organizations to affordable dinners, Valley Natural Foods has a positive impact throughout their community. Providing its 12,000 member-owners support for health and well-being through learning sessions with local experts in the sustainable food and wellness services. Their education program offers classes on topics such as healthy cooking, gardening and wellness. Along with education, VNF supports local schools, nonprofits and charitable organizations through donations of food or gift cards. Each month, the co-op sponsors a different nonprofit organization through “Register Round-Up,” where customers can round-up their purchase dollars to donate. There’s no better way to bring people together than with food, and VNF leverages the key to everyone’s hearts through community dinners. Every three months the store hosts a $3 community dinner to allow everyone access to healthy and affordable food. How has the expansion enabled you to better service your community? VOGEL: The expansion has enabled us to increase our community seating, making more room for events, community dinners or just casual meetings. Our new Education Room allows us to offer classes on a wide range of food-related topics and brings a more communal atmosphere to the store. The expanded aisles will make shopping more convenient, and the larger space allows us to offer more product selections. Additionally, the renovated Deli now offers more amenities, like full salad and hot bars, every day taco bar, expanded soup and salad selections, and a full juice and coffee bar with drive-through. ensuring that the store would be as safe as possible for both employees and customers during the construction. Keeping the store open while under construction has been challenging, but KA has helped us navigate a lot of the difficulties. The end result is a store we are very proud of and we are excited to share our newly remodeled store with the community. Stay fresh with VNF specials and new offers, follow them on Facebook and Twitter.